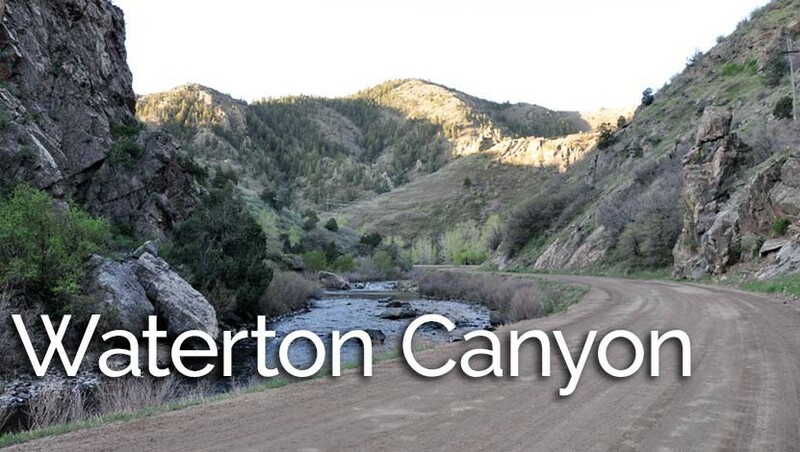 The winding dirt road trail of Waterton Canyon takes you along the South Platte river and into a canyon where you might spy some Bighorn sheep or catch the sight of massive eagles soaring on the warm air currents rising from rock. It’s an out-and-back hike, and you have a lot of options, from a short hike in to have a picnic, all to way to 12.4 mile round trip adventure to the Strontia Springs Dam. 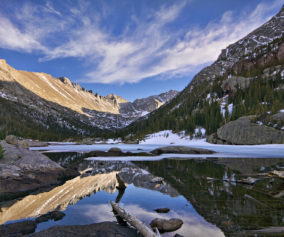 You can hike, bike, and fish on this hike near Denver. Explore the five different options we have detailed below. 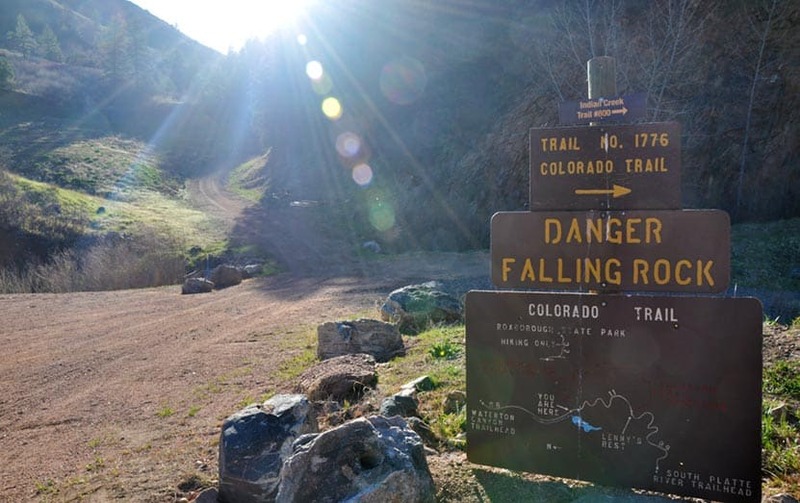 We’ll describe the location of a few destinations, including the best places to rest and have a picnic, and some of the other trails that join up with this Colorado canyon hike. When you set out to explore Waterton Canyon, there are plenty of things that you can expect. We’ve hiked this three times and have spotted Bighorns on two of those hikes. 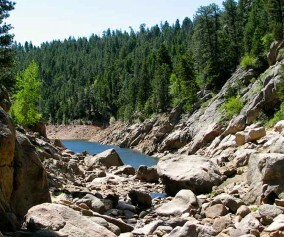 The trail is a wide dirt road that gives Denver Water access to the dam at the top end of the canyon. So, this makes for a great stroller hike, if your stroller has a way to give the kids some shade from the sun. It’s also a really enjoyable mountain bike ride because it’s not too steep–well, at least not until just past the dam–and the downhill ride back down is easy and fun. 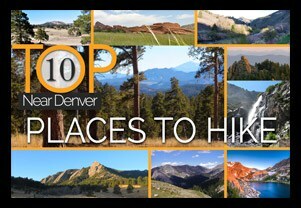 Here are are over five different ways you can hike this great hike near Denver, Colorado. 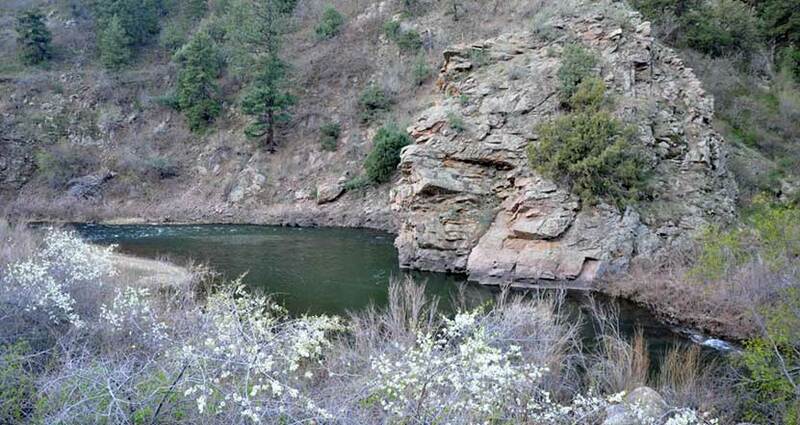 You’ll find the first picnic area just about 1/2 of a mile into Waterton Canyon. This section of Waterton makes for a great evening picnic. You’ll find it on your left just after the Highline Canal Diversion Dam. It’s a great place to skip rocks with the kids and to watch the light soften on the canyon walls as the sun sets over the distant mountains. Continuing past this picnic area, the next feature you’ll pass is the Marston Dam. There is another picnic area at approximately 3.75 miles into Waterton Canyon (see the pdf map), that’s also a great little spot, but if you get in that far, you’ll want to keep exploring. If you hike further up into Waterton Canyon, the river grows both wider and wilder. Cedars and pines grow along the banks and canyon sides, and the cliffsides become steep and jagged. It’s here, around mile 4, that things start to get interesting. 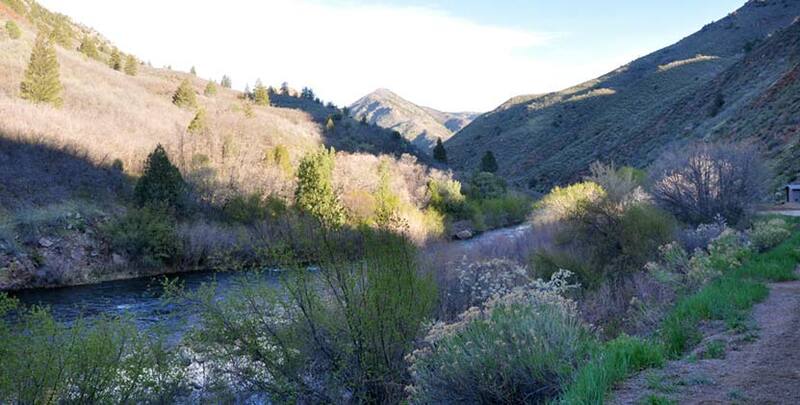 The next destination worth mentioning is a secluded spot on the river where you’ll find a deep fishing hole on the right side of the road. There is a picnic table hidden down among the willows (it’s hidden well enough that it doesn’t show up in the photo below). There is a restroom just about 150 yards upriver from the spot. The Strontia Springs Dam is an imposing structure, looming over 200 feet high above the trail with water gushing from its release pipes into the river.Accessing the 7700 acre Strontia Springs Reservoir is extremely difficult, though not impossible. However, its banks drop straight off into the water making it a pretty inhospitable place, but it can be fished for perch, trout, and walleye. One fisherman on a Colorado fishing forum commented that you have to really “WANT to get there” because it’s so tough to access. Most people turn around at Strontia Springs, but the trail doesn’t end there. 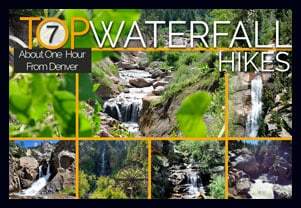 In fact, Waterton Canyon is the eastern gateway to the close to 500 mile Colorado Trail. The Colorado Trail starts here in Denver, then weaves it’s way all the way to Durango. 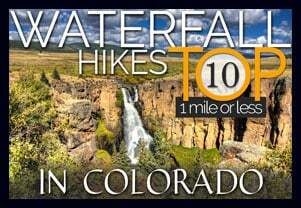 You can download a Trail Map of the Colorado Trail here. You really have several options at this point. You can continue onto segment one of the Colorado Trail on Trail #1776. Segment one of the Colorado Trail will take you out of the canyon and onto US Forest Service land where you can camp near Lenny’s Rest. 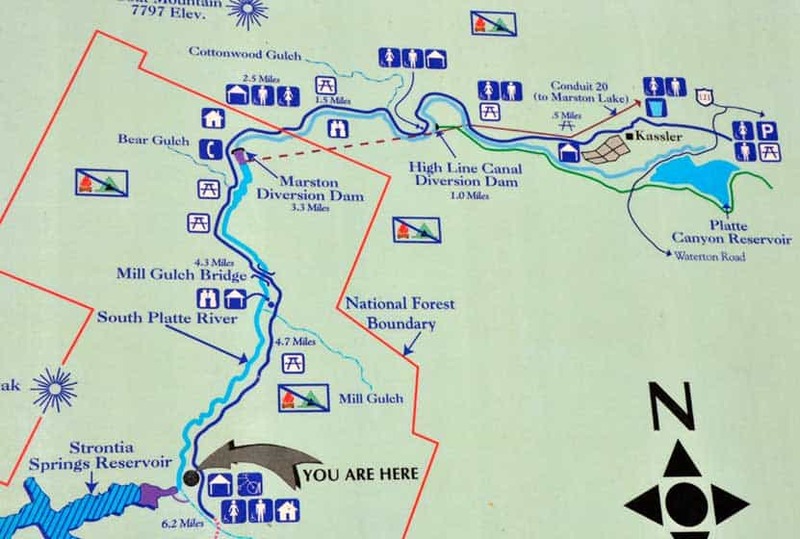 It’s important to note that camping is prohibited in Waterton Canyon, so this area at Lenny’s rest should be your goal if you plan to overnight. 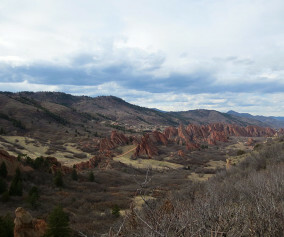 Another option is that you can hike down into Roxborough State Park on the Roxborough Connector section of the Indian Creek Trail #800. 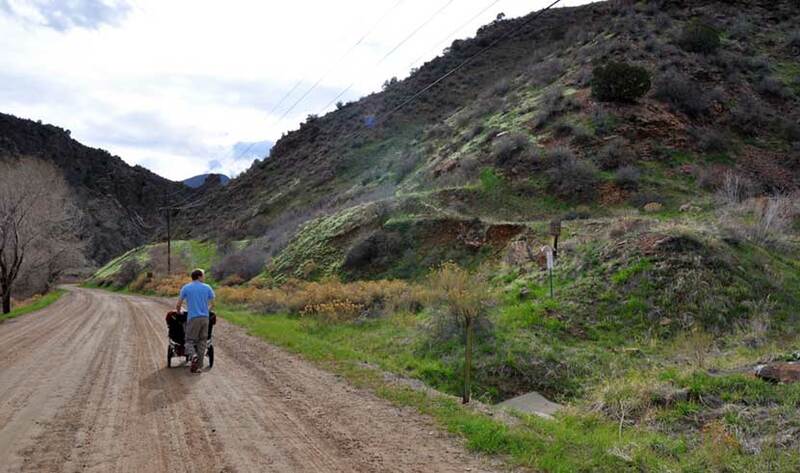 Yet another option–and this option is way more than a dayhike being well over 28 miles–would be to hike the full Indian Creek Trail loop, then to exit at either Roxborough or back down through Waterton Canyon. However, Indian Creek does have it’s own campground, so you could make it a long weekend trip. Of course, your final option is to hike out the way you came through Waterton Canyon. 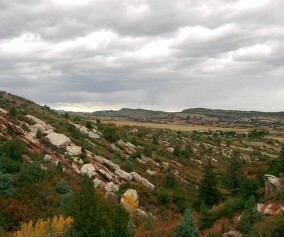 Click here for a PDF map of the first segment of the Colorado Trail that shows the connections to both Roxborough and the Indian Creek Campsite. It Gets Hot: Don’t hike this in the middle of the day. Waterton Canyon is close to 100% exposed to the sun, so it’s best to start very early or to hike later when the sun is moving itself to end the day. Bring Water: Bring plenty of water. You can say this about every hike, but it’s especially important because of the sun and heat. Dusk: It gets dark quickly after sunset. Because you’re in a canyon, once the sun sets beyond the foothills, the canyon becomes a land of shadows. We did this hike last weekend and it was great. The views were beautiful and we saw a whole bunch of bighorn sheep, which was awesome. There is a very slight incline all the way to Strontia Springs Dam, but we really only noticed it coming back. There were lots of bikers and runners and not as many hikers but the road was wide, so there were no issues. I’d definitely do this hike again. Loved seeing the bighorn sheep. Definitely recommend going earlier in the morning to avoid the afternoon sun as there is not much shade. Have hiked this several times and prefer going early in the morning just before sunrise. That seems to be the best time to catch wildlife, such as deer, mountain goats and bighorn sheep. Stopped to let a bachelor herd of sheep pass. The senior stopped and watched us until the juniors passed, then he lead the herd on. This is really an easy hike and since it’s an out and back, you can turn around any time. There are vault toilets and covered picnic areas along the way. If you are walking (or jogging) beware of bicyclists as not all know to announce themselves coming from behind. Strontia Springs Dam is worth the distance especially if the dam’s open and there’s a covered picnic table to enjoy lunch. In cooler weather, I bring a little burner and a pot to brew up a hot coffee or tea. Just part of my “joy pack”. Remember, no dogs. 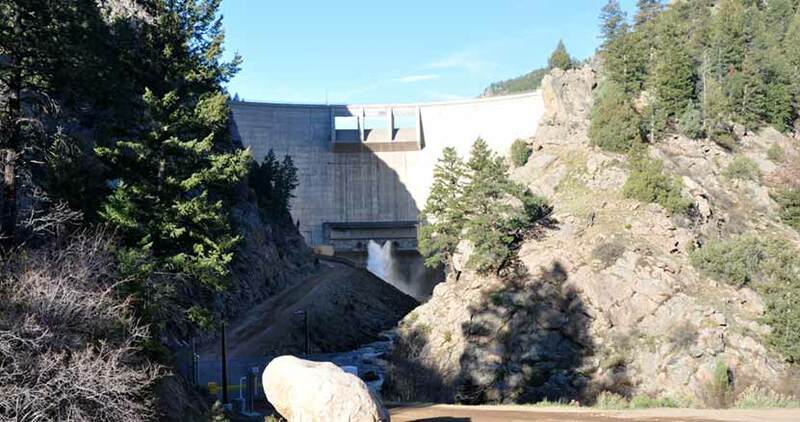 Waterton Canyon reopened on Friday, June 26th at 7am. My wife and I would really like to take a hike in Waterton Canyon, but I’ve read the park rules and it states that no dogs are allowed, I’m retired military and have a Service Dog that has to accompany me when I go out. As such are all dogs barred from entering and if not may I bring my Service Dog as long as she is on a leash held by me? Heading to the canyon for the first time ever today with the family- excited. Bummer about the dog though.. The “no dogs” policy is for the good of the big horn sheep, so it is best to respect it, regardless of the circumstances. Sorry!